Dream Art studios is the perfect solution to those travellers who wish to experience an environment that offers peace and tranquillity. The hotel is nestled between the calm of a residential neighborhood and the bustling Old Port of Chania. Only 10 minutes walk from the Central Market, you will have quick access to all major sights of the city, at no time! 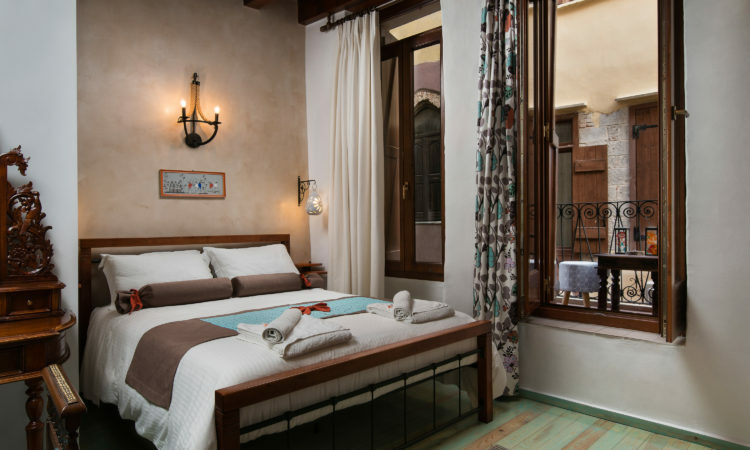 A splendid, old building that harmoniously combines the Venetian and Ottoman architecture, conveniently situated at the historical old town of Chania. A web of narrow passages and atmospherics streets that tumble onto a magnificent harbor with its 15th century light house, is what makes this location outstanding! 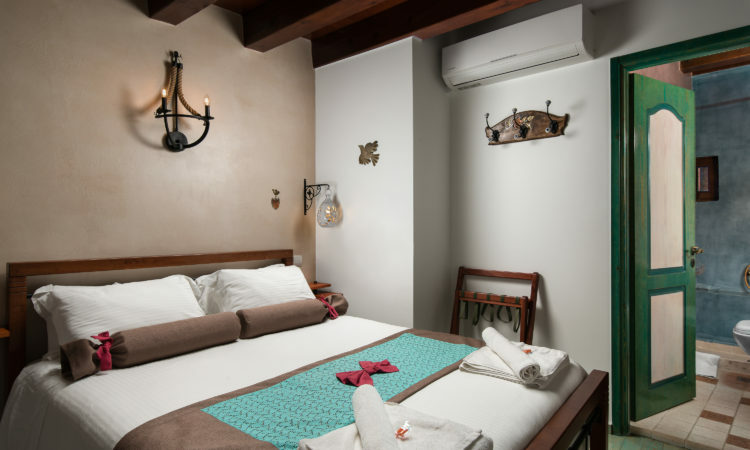 Dream Art Studios consists of five (5) spacy rooms, whose light colors and modern furnishings create an effect of romantic elegance, and a warm atmosphere that both relaxes and revitalizes the soul. As you take a stroll through the narrow alley in the heart of the Old Harbour of Chania, just a breath away from the Cathedral of the Virgin Mary, you will come across the Dream Art Studios, an old building that has been renovated with care and attention to detail and has been lovingly restored to its former glory. 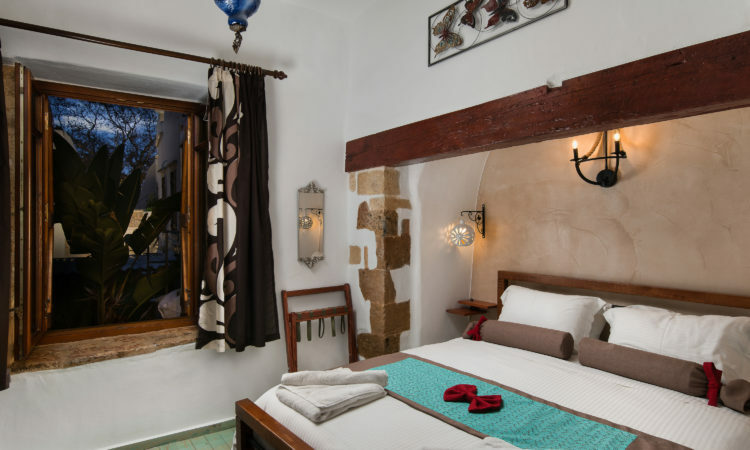 The modern design and facilities are combined with the romance of the era and the spirit of the picturesque old town of Chania. Dream Art Studios was beautifully refurbished to take account of the needs of today, without losing the ambiance of the past. 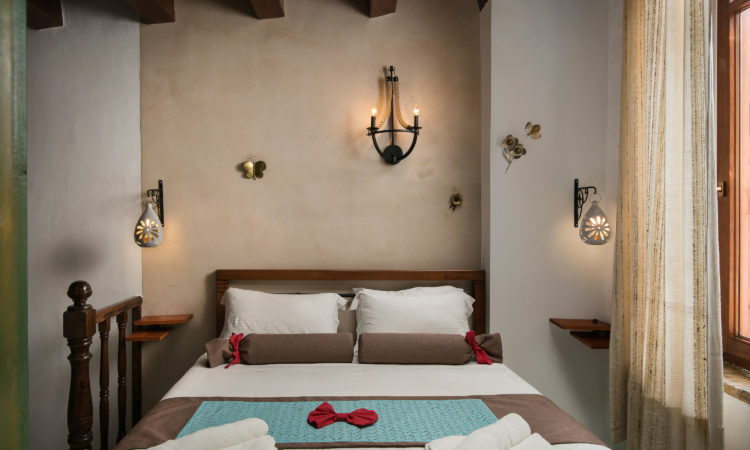 All rooms seamlessly weave architectural heritage with contemporary design. 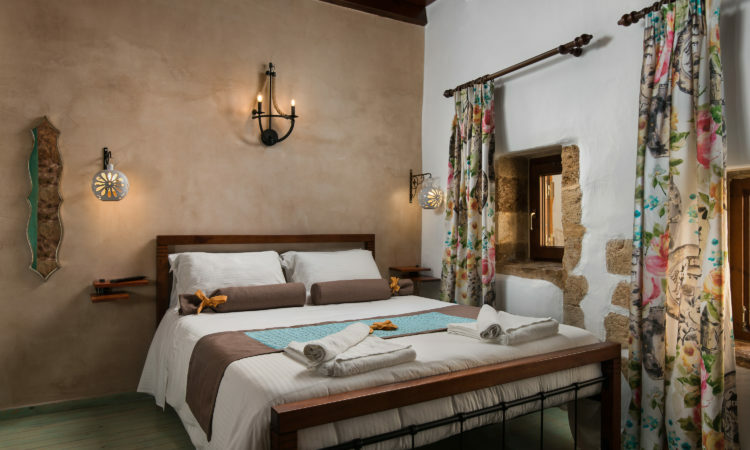 Restored mansions converted into cozy, traditional hotels, small stores selling original jewelry, clothes and souvenirs, traditional grocery stores and taverns offering Cretan appetizers make up the colorful profile of this charming alley, where our hotel is situated. We choose Dream Art Studios for our stay in Chania, as it's our only option for a memorable vacation and some lovely memories! There's really no other place to stay, if you are interested in a combination of simplicity and tranquility.